Even though the word Timbuktu is often used as a metaphor for a primitive place far from civilization, Timbuktu is a real city with a glorious history. When Europe was languishing in the Dark Ages, Timbuktu was a centre of African civilization, trade and scholarship. The city’s recent history has been less glorious. This week marks five years since Timbuktu was invaded by Tuareg rebels and Al Qaeda militants. Five years since the town’s Sufi population began to suffer the imposition of sharia and its ghoulish punishments. Five years since the town’s famous librarians started an ingenious smuggling operation to save thousands of priceless ancient manuscripts from destruction. Today there is both good and bad news from Timbuktu. The bad news is that bandits and radical Islamists are still present in the region, launching sporadic attacks on the town and its peacekeepers. The reach of extremist teaching throughout the Sahara is expanding, not contracting. The good news is that in Timbuktu itself, many of the World Heritage landmarks have been restored. Local craftsmen have rebuilt many of the shrines to the saints of Timbuktu, and the instigator of their destruction imprisoned for nine years. The exquisite ‘Door of Heaven’ in the Sidi Yahya mosque has been repaired. The values of Timbuktu, its so-called ‘seven gates’, remain intact: tolerance, honour, dignity, generousity, hospitality, honesty and justice. And what of those famous manuscripts? Currently in exile in Mali’s capital city Bamako, the manuscripts are being well looked after. The Herculean task of cataloguing and preserving these ancient texts continues. 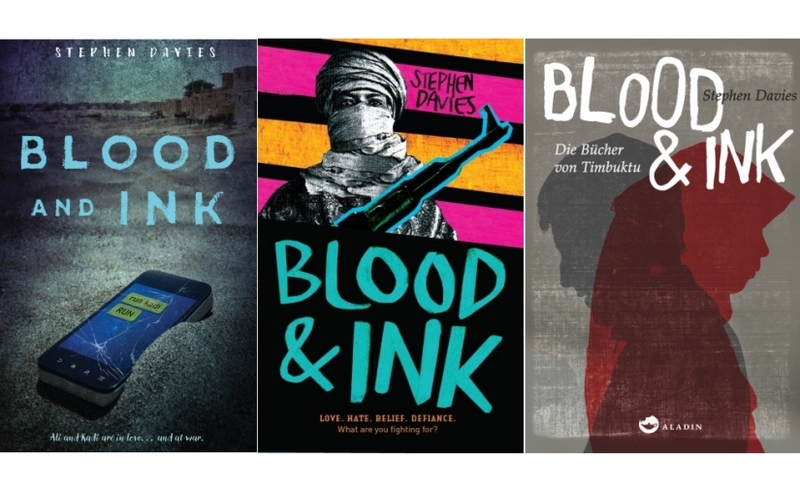 Blood & Ink is fundamentally a thriller and a love story. As a thriller it contains chases, smuggling operations and a locked-room mystery. As a love story it features a Malian Romeo and Juliet, drawn together in spite of their cultural and religious differences. And yes, as a piece of historical fiction, the novel by necessity explores the theme of violent jihad. I had the honour of participating last month in the Cologne literary festival, where I read and discussed the novel with teenage festivalgoers. Their questions went right to the heart of the matter. What are the causes of radicalisation? Is religion itself to blame? Was I nervous about the controversy my book might cause? Finally – and essentially – what is the solution to Islamist extremism? I am not nervous about the controversy my book might cause. Controversy entails discussion, more useful than any awkward silence. My highest hope for Blood & Ink is that, like the Timbuktu manuscripts themselves, it might foster understanding, tolerance and peace. My rather more modest hope is that it proves a gripping, exhilarating read. 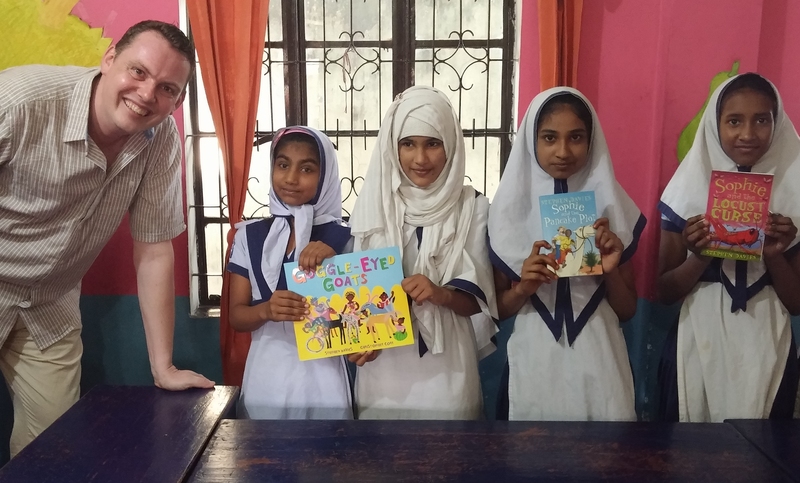 I arrived in Bangladesh today, and had the pleasure of visiting Solmaid Community School, a low-cost school run by Bangladeshi teachers for 130 children from their own community, with some support and training provided by expat teachers from the International School of Dhaka. This unique partnership seems to be bearing good fruit. 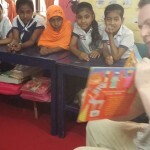 The school currently has a waiting list of over 600 children. Over the next few days, I shall be doing some talks and workshops for ISD students. But first some sleep – I’ve been awake for thirty hours now, and am feeling as goggly as a goggle-eyed goat. I’m collaborating with the Read to Feed project this year, which is organized by the fabulous charity Send a Cow. 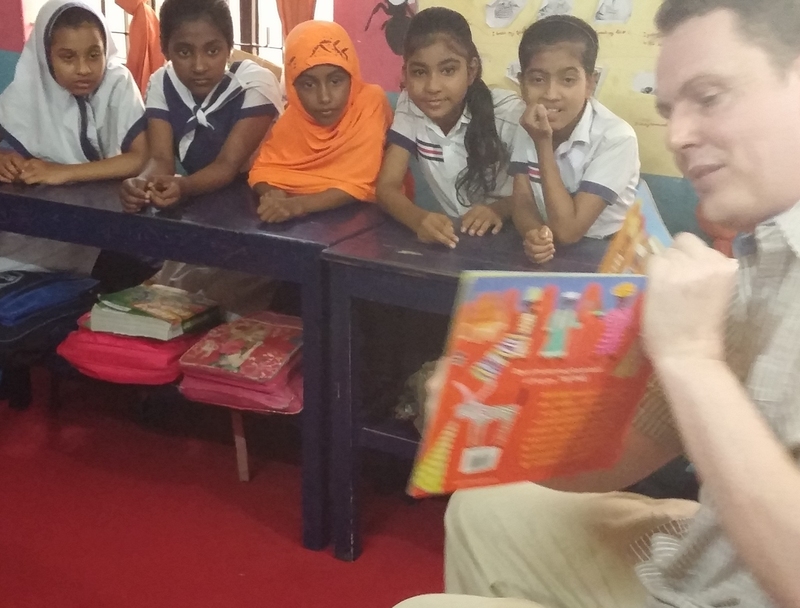 The project is about nurturing children’s love of reading, raising awareness of Africa’s diverse cultures, and giving families a helping hand to lift themselves out of poverty. Do please like and share this video so that plenty of schools get to know about this fun new initiative. Being given a goat (even a naughty one) can really help a family to make ends meet. Feeling hoarse today after the protest in Parliament Square last night. Very good attendance. All ages, all colours. Speeches by Caroline Lucas and several MPs. The language David Cameron used recently (calling such people ‘terrorist sympathizers’) is a shameful slur. All of the people who spoke last night condemned IS in the strongest terms. But they believe that launching airstrikes in this case would be wrong and counterproductive. Another protest planned for tomorrow. Here is the text of one of the letters I have sent to my Member of Parliament. Jane Ellison is MP for Battersea. I live on Battersea High Street and am deeply impressed by the work you have done as Public Health Minister as well as MP for Battersea. May I urge you to join your Conservative colleagues John Baron MP, David Davis MP and others, in voting against the government this evening on the question of Syria airstrikes. 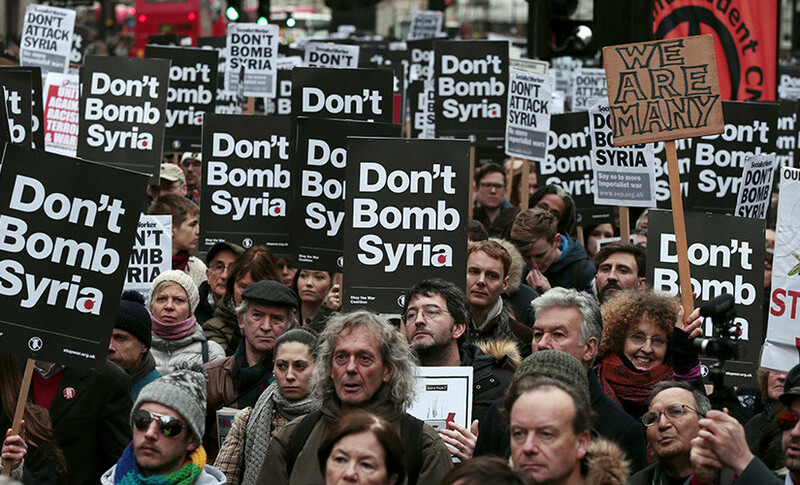 David Cameron’s case for airstrikes is by no means compelling. Particularly questionable is his claim of 70,000 ‘moderate’ troops ready to back the UK. Even if they existed, would they be organized and united enough to hold and administer territory? Peter Ford, former British ambassador to Damascus, has described Cameron’s case for airstrikes as ‘reckless’. He thinks it will fuel the rise of jihadism in the UK. No bomb is smart enough to avoid incidents such as the deadly October air strike on an MSF hospital in Afghanistan that killed 30 people, which the US now admits was a "tragic mistake" due to "human error." I joined the protest march in Parliament Square last night, and will continue to campaign on this matter, even after tonight’s vote. I am sure you will do what you believe is right, whip or no whip. The riot shield war trophy was one of yesterday’s iconic images. There were many, of course. Parliament burning. The Rond Point des Nations Unies obscured by tear gas. Angry young men in the TV station. 24 hours later, the uprising already has its own Wikipedia entry: 2014 Burkinabé uprising. It has been brewing for a long time, of course. Any president who hangs onto power for 27 years must expect to become increasingly unpopular. Living in Burkina Faso on a tourist visa, a guest of the state, I always had to be very careful what I said about President Blaise Compaoré. My references to him in my books tended towards the cryptic. The powerhungry villain of SOPHIE AND THE PANCAKE PLOT was Alai Crepe-Sombo, an unsophisticated anagram. My last novel OUTLAW was dedicated to journalist and novelist Norbert Zongo, who was one of the President’s most courageous and outspoken critics. There seemed to be some ‘mission creep’ going on yesterday. What started as an action to prevent Parliament from changing the constitution turned into an all-out demand for the President to resign with immediate effect. His refusal to do so has angered protesters, who are still occupying many of Ouagadougou’s most important landmarks. We shall see what today brings. To my Ouagadougou friends and erstwhile neighbours, bon courage. Tomorrow we’ll discover what our God in Heaven has in store! One more dawn. One more day. One day more! Update (Friday, 1330): A few minutes after I posted this, Blasie resigned as President, calling for a 90 day transition and then elections. This is a huge moment for West Africa. Blaise has defined an era, not just for Burkina Faso but further afield as well. Security in the Sahel – reason for optimism? A Gallup World Survey rates Burkina Faso as having the most optimistic people in the world. 95% of its inhabitants rate their future lives better than their present ones. This, opines the author of the report gloomily, ‘may simply be because people can not imagine that their lives could get any worse’. Nonsense. A Burkinabè policeman once told me the following story. A boy climbed a tree to pick mangoes, whilst his friend stayed on the ground to catch the fruit and put it in a basket. When the boy in the tree got to the top branch, a boa constrictor slithered up his arm and began to entwine itself around his body. ‘Au secours!’ (Help!) yelled the boy. And his friend on the ground shouted back in wonderful Burkinabè French, ‘Ca va aller!’ (It’ll be all right!). 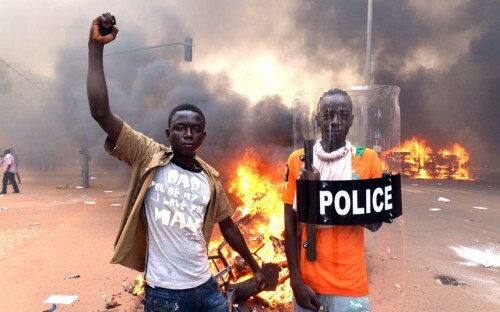 My policeman friend was poking fun at the unfailing positivity of his Burkinabe compatriots, who are always determined to declare peace where there is no peace. Peace is laafi in the local Moré language, ani in Jula and jam in Fulfuldé. How did you sleep? Peace only, we chant. How is your wife? Peace only. How is your health? Peace only. How is the security situation in the Sahel? Peace only. Peace only. Clean-shaven Frenchmen parachuted into Mali, did they not, and drove those naughty Islamists up into the Ifoghas mountains, where now they languish with their scrawny goats and their spent rocket launchers. The women of Timbuktu cast off their veils and danced for the TV cameras on every street corner. Crates of hastily buried beer were dug up and cracked open. Libraries of hastily hidden ancient manuscripts were discovered safe and sound. Peace only. Our Horizons teams were efficiently evacuated from their places of ministry to their respective capital cities. 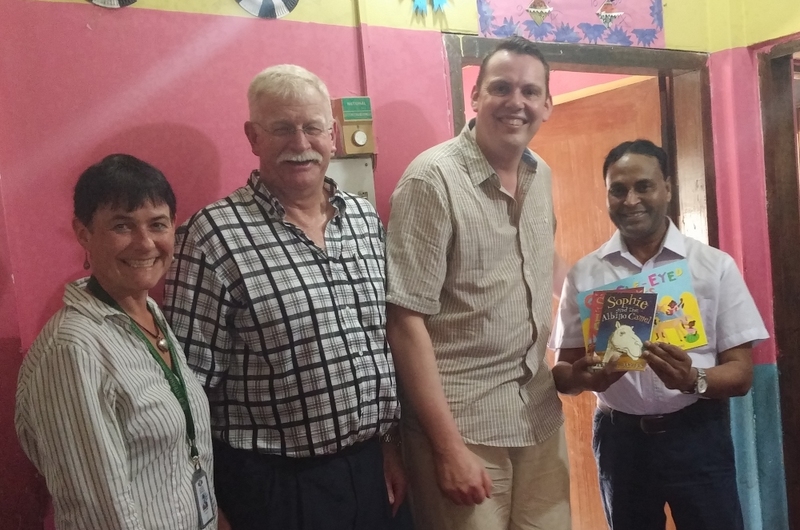 They swapped mud huts and paraffin lamps for airy villas with ceiling fans. Cotton pickers became city slickers, and plunged headlong into exciting urban projects: hairdressing, literacy, dentistry, radio work and business. While some grieved for what they’d left behind, others felt (secretly) relieved. Peace only. For as long as I can remember there have been good interfaith relations in the Sahel, and generally speaking there still are. The Sahel is not a hotbed of extremism. Its religious leaders are moderate Sufi marabouts, like the one who famously invited a Horizons missionary to come and preach in his mosque. It was poverty rather than idealogy which attracted a minority to the black flag of jihadism, and most right-thinking Sahelians want nothing to do with it. A twenty-one year old Quranic student in Djibo recently prayed in public that Al Qaeda would invade the north of Burkina Faso and impose Sharia law. His listeners reacted strongly. They told the student that Allah hates all violent expressions of Islam (although, ironically, they then proceeded to beat him up). Peace only. In January a group of forty prominent Malian musicians recorded a song of peace for Mali. ‘Notre Mali, sèche tes larmes, nous t’aimons!’ they sang. Our Mali, dry your tears, we love you. ‘On veut la paix, la paix. En Afrique la paix ! Dans le monde entier la paix !’ We want peace, peace. In Africa, peace ! In all the world, peace ! Peace only – and yet, in the words of Nicolas Sarkozy, nowhere in the Sahel can now be considered safe. Guerrilla warfare and occasional suicide bombings continue in Mali’s northern towns. Fifty thousand displaced Tuaregs are frightened to return to their homeland for fear of reprisals. And with the Dark Side’s coffers so depleted by the war, further kidnapping of Europeans is a likely prospect. How are we to respond to this uneasy, fragile peace that is not quite peace? At the West Africa conference in February, our speakers encouraged us not to depend on BBC news in our decision-making, or even on grassroots gossip, but to seek God’s commentary as well – ‘les infos prophetiques’. Maguy prayed for ‘les intercesseurs qui ont le Mali dans leurs entrailles’, intercessors with Mali in their guts. We have some already; we need more. Pray also for peace in the Sahel. Not the fake peace of the boa constrictor victim but the unfathomable peace of those who do not fear death. Not the trite peace of swaying celebrities but the pained peace of difficult forgiveness. Not the imposed peace of parachuting Frenchmen, but the kingdom peace of God’s Not Yet parachuting into Africa’s Here and Now. Posted on July 24, 2013 January 14, 2016 Categories Social JusticeTags Mali, TimbuktuLeave a comment on Security in the Sahel – reason for optimism? My wife and I live in West Africa, where all my books are set. I am involved in Fulani radio programming (and of course writing), and my wife Charlie runs an innovative craft label called SAHEL Design. She is passionate about fashion, poverty relief, and the preservation of ancient skills and family businesses. Check out this video we made yesterday, which evokes the ancient heritage of every SAHEL Design bag. The voice over is by our friend Hassan Sanga, who is a griot. That means he is able to recite the ancestors of his town’s chief, going back hundreds of years. Great ‘Viewpoint’ piece by Daniela Papi on the BBC website this morning, entitled Is ‘gap yah’ volunteering a bad thing? At the time of writing, Daniela’s piece is both the ‘Most Read’ and also the ‘Most Shared’ article on the BBC site. Her criticism of the gap year industry has clearly touched a nerve. Papi argues that gap year volunteering is designed to make gappers feel good about themselves, that the opportunities to serve are contrived, and that we are encouraging unskilled, inexperienced, clueless volunteers to dabble in development work, with results that are at best neutral and at worst damaging. We are setting ourselves up for monumental failure. Here are a few disjointed comments by way of response. I write as someone who took a ‘gap yah’ myself, and now as a long-term crosscultural worker in West Africa who regularly receives and mentors ‘gappers’. I once talked to a lad who grew up in Mexico. He said he dreaded the arrival of gap year volunteers. When they left, he and his friends would have to tear down the wall the gappers had built and build it again – properly this time! British nationality – or any other kind – does not qualify us to save the world. 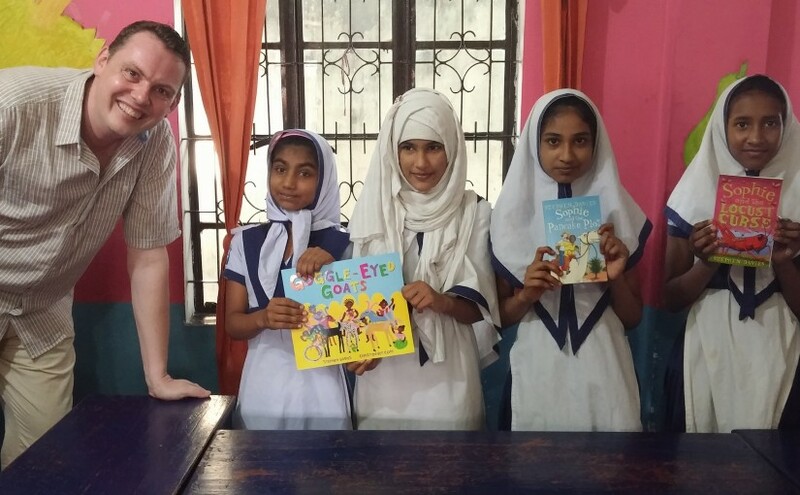 Being an influence for good is more about your heart than your passport or your education. Cross-cultural exchange is valuable in and of itself. 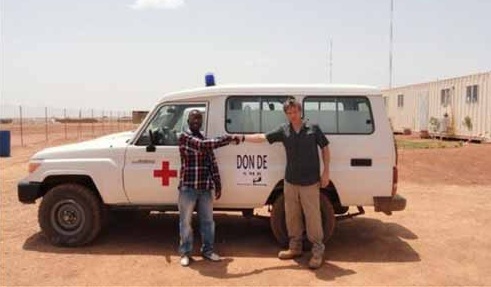 My friends and neighbours in Djibo like receiving gappers. It’s true. Koyngal woni endam (lit. The foot is fellowship – Being visited is honouring). The best gappers have been those who helped with the washing up and played tag with kids in the yard and asked millions of questions, many of which I couldn’t answer. All the long-termers I have met in Burkina Faso started out as short-termers. 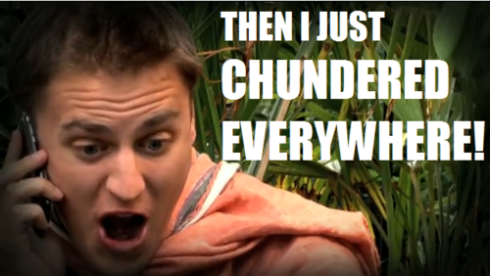 Clued-up-ness grows from cluelessness. Effectiveness is born out of uselessness. Gappers who come humble leave wise. Those who come wise leave jaded. As Daniela says, training is essential. Often this means learning how to learn. 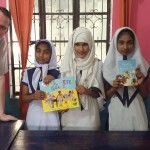 The World Horizons training programme (brief plug!) is excellent for ‘learning how to learn’ language and culture. I question those in the comments section below the BBC article who say ‘Stay home and donate your gap yah funds directly to charity’ – it seems like wisdom, but it is monochrome, reductionist, armchair wisdom of the worst sort. Perhaps we need to develop a theology of waste. Perhaps we should we smile a little less knowingly and talk a little less condescendingly about those bright-eyed young things washing cars to raise money for their plane tickets. Knowledge puffs up. Love builds up (1 Cor.8:1). ‘How will it look on my CV?’ puffs up. ‘How can I stay involved?’ builds up. Not one of our gappers have ever said ‘And then I chundered everywhere’. Yet. Back in January I blogged about the launch of SAHEL design, an exciting new craft label which is both traditional and innovative. ‘Style with roots’ is the tagline for the label. The techniques used for producing West African reins, girths and tassles are centuries old, yet the applications Charlie Davies has found for them are fresh and contemporary. Over the past few months I have come to appreciate the thinking behind the SAHEL label, and to realize its relevance to anyone wanting to produce or sell African crafts. Enough philosophy. Have a look at look at the products themselves, now available on Charlie’s new online shop JAM shop. If you see anything you like, please do click the Facebook ‘Like’ button on the individual product page. Don’t click ‘Like’ because it’s a good cause. Click ‘Like’ because it’s a beautiful product. We are excited about the future of this business, and Facebooks ‘Likes’ do help to spread the word. This is the fourth and last article in my series on Avocet’s Inata gold mine. In case you missed them, here are the others. In the bad old days a gold mine could operate without much regard for the people on whose doorstep it was parked. But today such thoughtlessness earns companies disapproving glares and metaphorical parking tickets. Here are some of the areas in which Avocet try to sweeten the mining pill for the people of Inata and beyond. The road from Djibo to Kongoussi (en route to the capital Ouagadougou) is in a terrible state. It is unsurfaced, rutted and potholed. People blame the President of Burkina Faso for breaking his 2006 election promise to tarmac the road, and they blame the mine lorries and tankers for their daily contribution to the road’s worsening state. In March last year they took direct action, blocking the road for two days and demanding that the government and the gold mine find immediate funding for a hundred kilometres of tarmac. It was an excellent non-violent protest, and I wrote about it at the time for the Guardian Weekly. Last week, twelve months after the original protest, the government announced that it had allocated funding for the new road. This is very good news. The village of Gomde, 7 kilometres from Inata, used to have a pond. Then the Inata miners arrived. 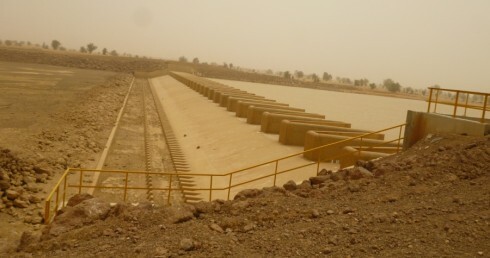 They built a dam at Gomde to contain rainy season rainfall and provide water for the mine. In the place of the old pond is a vast body of water which at full capacity measures a staggering 120 million cubic metres. There is more water in the dam than is needed for the mine, so various irrigation projects are in view. Year-round market gardening is one idea. A three-hectare ‘forest’ of fruit trees is another. Banana trees in the desert – I can’t wait to see it. Providing clean drinking water for communities is a sure-fire shortcut to White Knight status. Avocet have installed three pumps in Gomde, one in Sona and one in Inata. Four of the five are powered by solar panels, the last one is powered by teenage girls jumping up and down. Here is one of the solar ones. 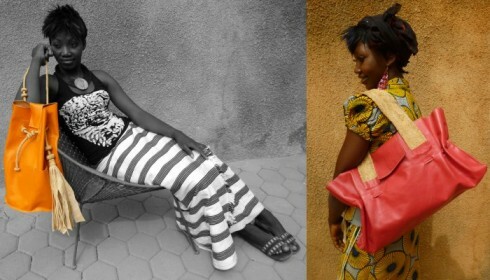 Avocet’s charity work is organized by FAB – Fondation Avocet pour le Burkina Faso. For every ounce of gold that Avocet take out of the ground, they drop a dollar into the Foundation’s piggy bank. Last year they mined 160,000 ounces, so the Foundation had $160,000 to spend on philanthropy. 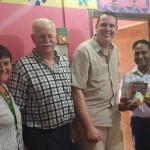 They bought an ambulance for Aribinda hospital, refurbished a school in Filio and started planning a clinic for Gomde. The committee which allocates Foundation cash is composed of miners and mayors – specifically the mayors of the three nearest towns, Aribinda, Koutougou and Tongomayel. They receive begging letters from all over the country, but prioritize local projects. The central tension is whether NGOs are serving as bagmen, advancing Canadian mining interests by appeasing local communities with gifts of health care and education, or whether they are simply piloting a new model of co-operation that might positively influence corporate behaviour overseas while simultaneously addressing development gaps. I tend towards pragmatism in such matters. As things stand, miners and mayors are meeting at Inata every six months to dispense hundreds of thousands of dollars in development aid. They (the miners) are ‘open to the advice and suggestions of local NGOs.’ So they should be. And for their part, experienced local NGOs should engage with this challenge rather than spurning it. Not because they need the cash, but because the cash in a funny sort of way needs them. ‘You can not antagonize and influence at the same time’ (John Knox). I hope that nothing I have written in these four articles has been unnecessarily antagonistic and I hope to keep channels of communication open to all those who live and work at the Inata gold mine. If they have any corrections or comments regarding any of these articles, I will weigh and update as necessary. May God bless Inata and all who dig there. May God bless and protect the land, the birds, the wildlife and the water. His will be done, on earth as in heaven.